Scanner not working is a common issue in Windows 10, especially in new Windows 10. If your scanner doesn’t work in Windows 10, don’t worry. You’re not a lone. Many Windows 10 users have reported this issue. You can fix the problem with one of the solutions below. There are three solutions you can try to fix the problem. You may not have to try them all. Just try them one by one until you find the one that works for you. 1) Hold Down Windows logo and press R key at the same time to invoke the run box. 2) Type cmd and click the OK button. 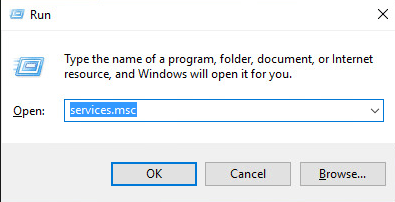 3) When Command Prompt opens, type sfc / scannow and press Enter. Note that you are required to run this command as an administrator. If not, you will get the following message when your run it. In this case, please open command prompt as an administrator and try again. 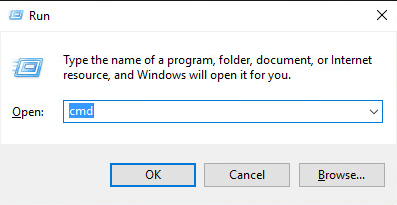 If you are not sure how to open command prompt as administrator, refer How to Open Command Prompt as Administrator in Windows. If some related services are not started, the scanner cannot work properly. Steps below are for your reference how to check for the service status. 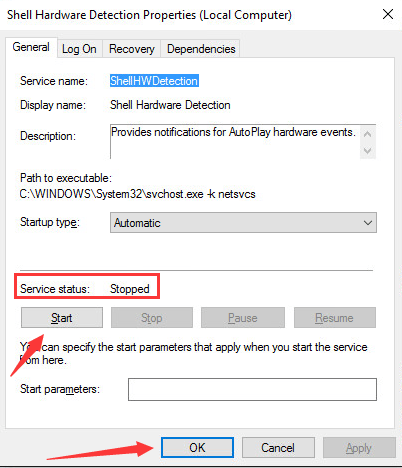 Here, let’s take Shell Hardware Detection for example. 1) Hold Down Windows logo and press R key. A Run dialog box will pop up. 2) Type services.msc in the run box and click OK button. 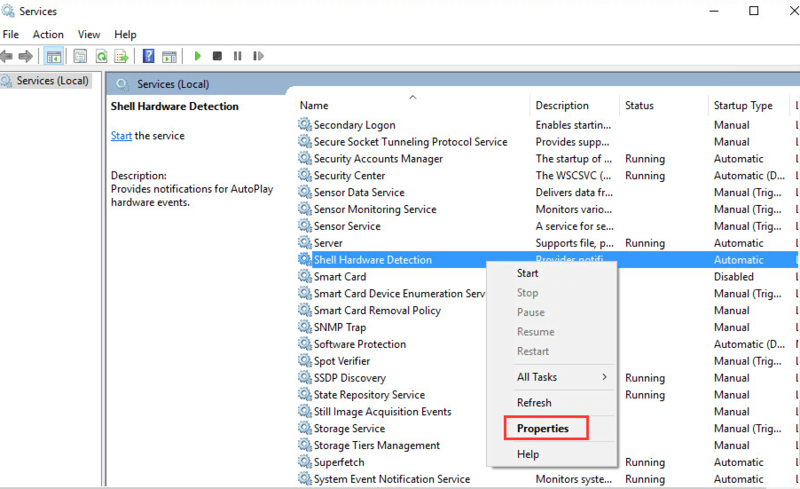 3) Find Shell Hardware Detection from Name list. Right-click on it and select Properties from the context menu. 4) If you see “Service status” is Stopped, click Start button and OK button. Then the service will start again. IMPORTANT: Repeat steps these steps to check and configure other related services. If the scanner driver is having problem, the scanner cannot scan correctly. So updating the driver may resolve the problem. 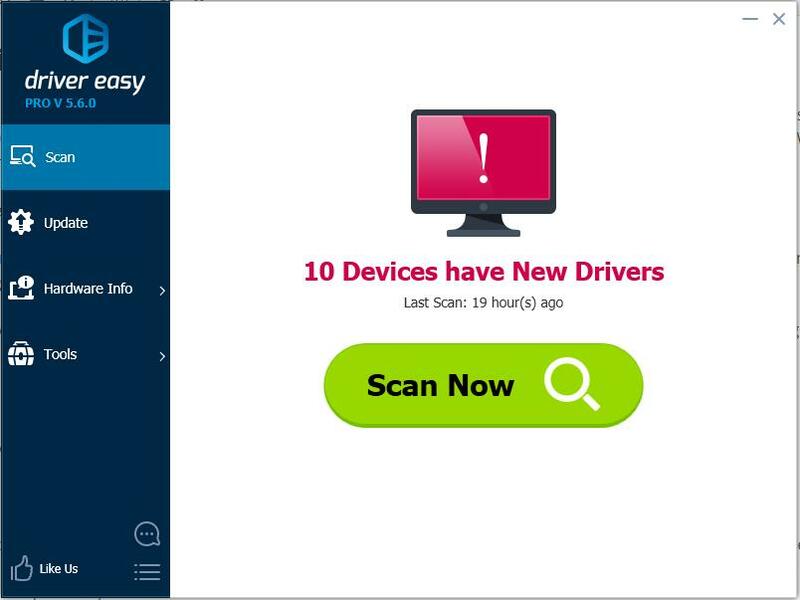 You can go to your scanner’s manufacturer’s website to download the latest Windows 10 driver. For some models, manufacturer might not release Windows 10 driver. In this case, try the driver for Windows 7 or Windows 8, which is always compatible with Windows 10. 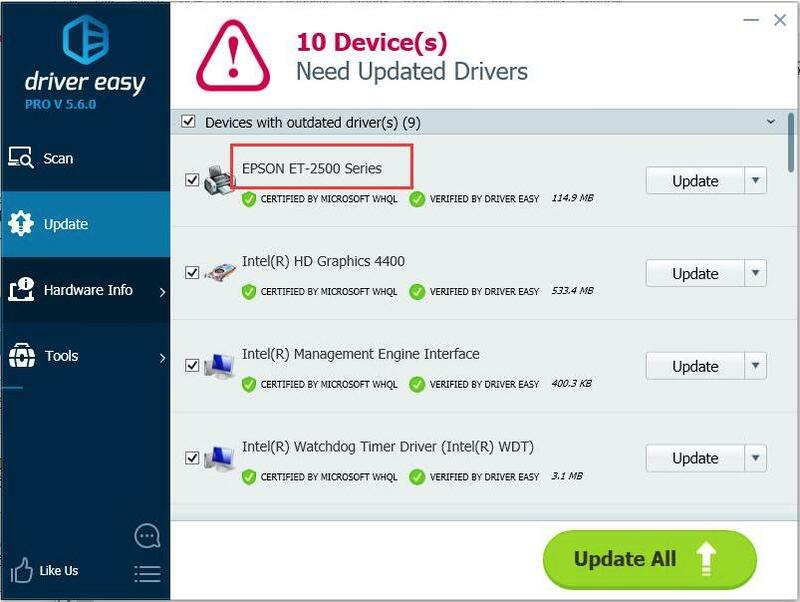 If you don’t have time, patience or computer skills to update drivers manually, you can do it automatically with Driver Easy. 3) Click the Update button next to a flagged scanner driver to automatically download and install the correct version of this driver (you can do this with the FREE version). Or click Update All to automatically download and install the correct version of all the drivers that are missing or out of date on your system (this requires the Pro version – you’ll be prompted to upgrade when you click Update All). Hope the solutions help you fix scanner not working in Windows 10 issue. If you have any questions, please leave your comment. We’d love to hear of any ideas or suggestions.